Twitter & Periscope: How to share your stream to Periscope and Twitter. Using Twitter's live video app, Periscope, you can live stream to both your Periscope and Twitter viewers from CWM using the steps below. This is powered by using Periscope's "Periscope Producer" feature found in the Periscope mobile app. 1. 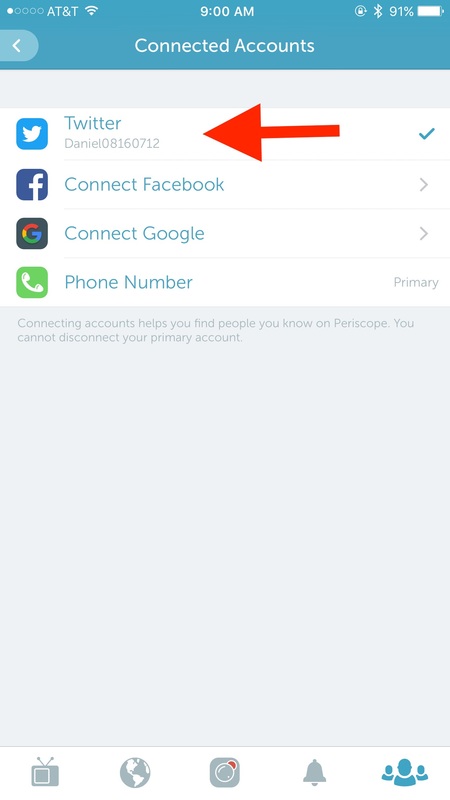 From your mobile device, open the Periscope app. Then visit "People" -> "My profile" -> "Settings" as shown below. 2. Find the "Periscope Producer" option, which is located under Advanced Sources. 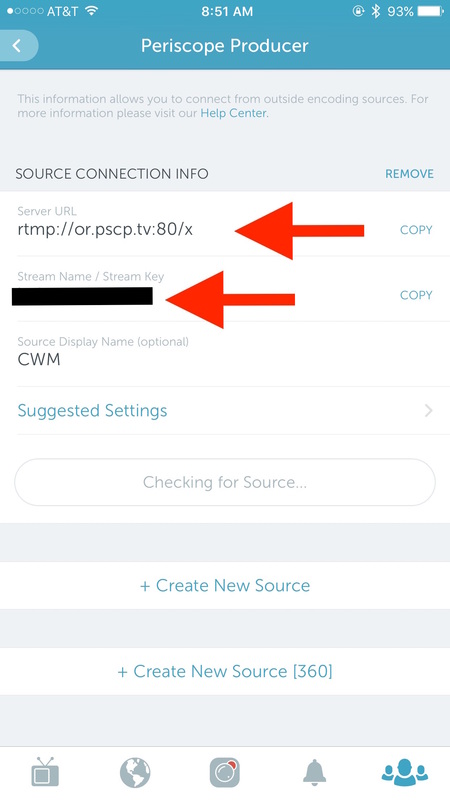 Next, find your "Server URL" and "Steam key" values and enter them into the proper fields in your CWM account "Stream Settings" page and save the changes. To live stream to your Twitter feed you'll need to connect your Periscope account with your Twitter account. 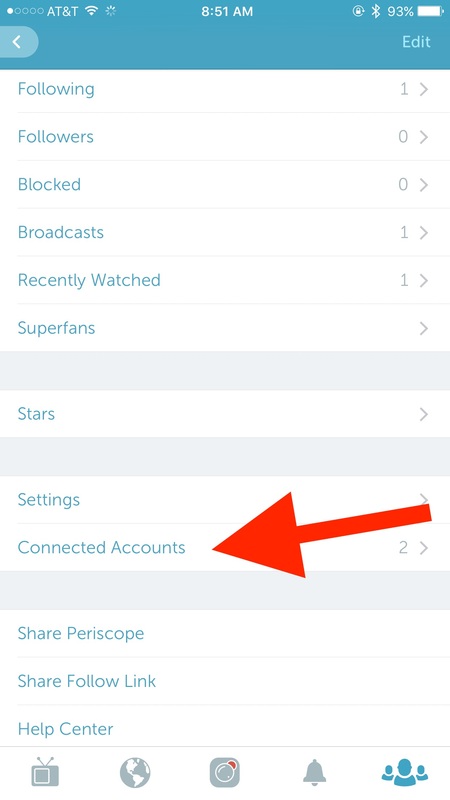 Using the Periscope app, visit the Profile page and click "Connected Accounts". Click on "Twitter" and follow the steps neccessary to connect the account. 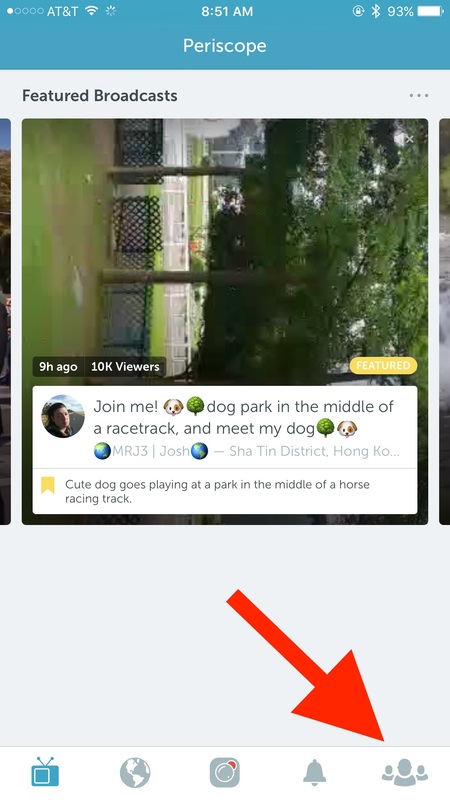 After you've connected your account your Periscope live streams will begin showing on your Twitter feed. 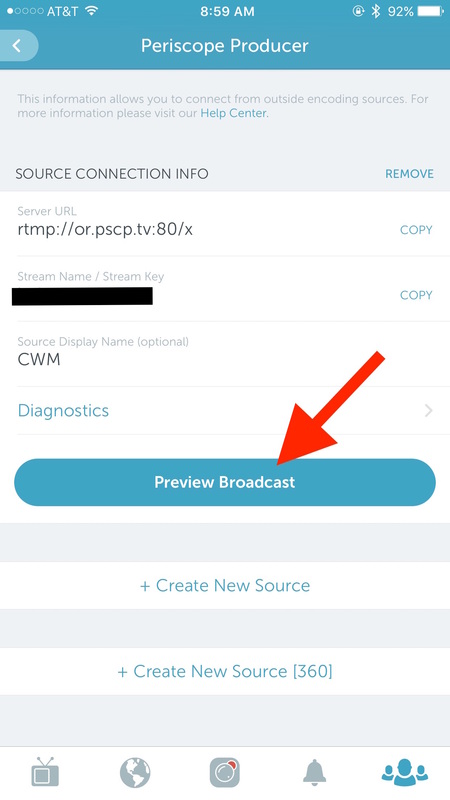 After you've started streaming through CWM and begun sharing your feed with Periscope, you will need to prompt Periscope to begin sharing the live stream to the public. For each event you'll need to open your Periscope app and visit the 'Periscope Producer' page. You will now see a 'Preview Broadcast' option. Click it and enter your broadcast title. 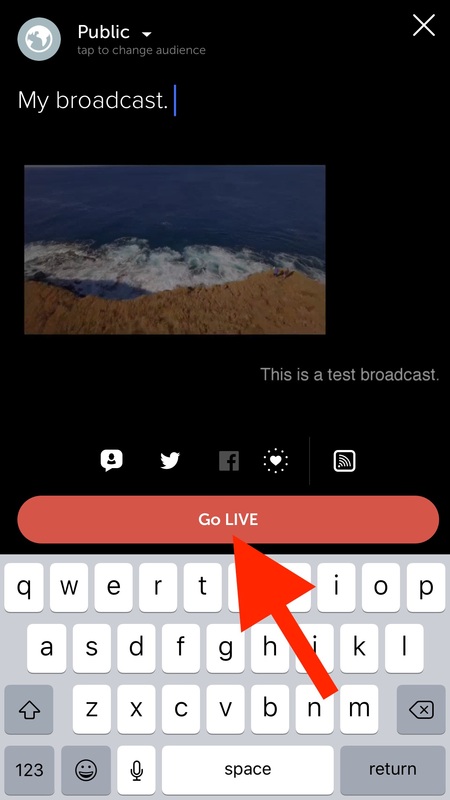 When ready, click 'Go Live' to begin sharing the live feed to the world.